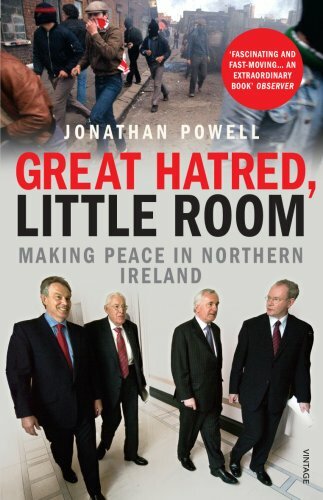 After studying history at Oxford and the University of Pennsylvania, Jonathan Powell worked for the BBC and Granada TV before joining the British Foreign Office in 1979. After Labour’s landslide victory in 1997, Powell was at the heart of the Downing Street machine. He was the only senior member of staff to remain at Blair’s side throughout his time at the top of British politics. Politics has many different areas in which to specialise. What made you decide on negotiation? It’s the thread that ties my life together. As a young diplomat, I worked on the Hong Kong negotiations in the early 1980s, the two-plus-four talks on German unification, and the CDE and CSCE processes in the Soviet Union in between. I was chief negotiator for Northern Ireland from 1997 to 2007 and I now work for The Centre for Humanitarian Dialogue in Geneva, bringing governments and insurgent groups together. What for you is the art of negotiation? I think the key attribute is pragmatism – looking for a solution. Not everyone accepts that as a starting point. Some groups believe it’s a form of sin to compromise. I remember negotiating with the Orange Order in Northern Ireland. They would turn up and say: ‘Here is our position’. I would take it to the Catholic nationalists and they would present a different position, which I would take back to the Orange Order, who would say: ‘No, you don’t understand. We told you what our position was. It would be wrong to move from that in principle’. That’s the problem if you have a position of principle that leads you into conflict. If you’re pragmatic, you can negotiate. At the root of it all is a willingness to make concessions and see the other side’s point of view. And if a group doesn’t want to negotiate? Another key skill is patience. Like George Mitchell, you have to keep going whatever happens and try to get a solution. You can’t make people compromise or negotiate if they don’t want to. Talking to a terrorist group requires patience because terrorists aren’t used to negotiation or compromise. They can take the hardline view on every issue. You first have to get them accustomed to the idea of seeing other people’s positions. You definitely need patience for that. 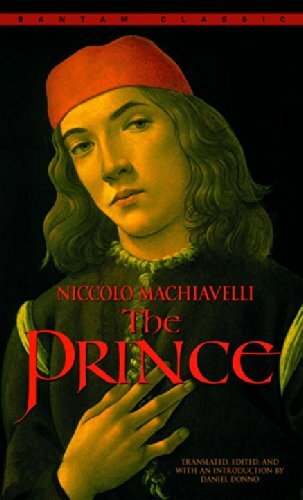 Your first choice is The Prince by Niccolo Machiavelli, which you studied at university. History students at Oxford have to read The Prince. It has the benefit of being very short and it stuck in my mind. While at Number 10, I was looking for a book on how to wield power in practice. I chose this one. Many books deal with the theory of the British constitution but few look at how power works in practice. It’s almost treated as a dirty subject. Machiavelli was one of the earliest diplomats. Negotiation was his life; he saw it as power. That’s what really got me interested in him. Do you think the fundamentals he discusses remain the same? Very much so. The reason we still read the book today is that, like Shakespeare’s plays, it’s based on human nature. Just as you nod along to Hamlet or Macbeth and acknowledge that aspects of human nature in them are present in people today, the same is true of The Prince. Machiavelli broke away from the Augustinian notion of what the world should or ought to be. He wrote about what he observed around him. That’s what makes him so interesting. 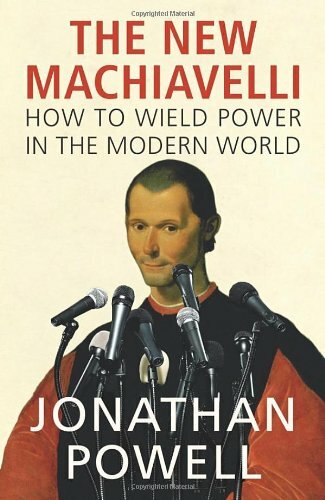 The book obviously had a big effect on you because your recent book is The New Machiavelli: How to Wield Power in the Modern World. Yes. Instead of writing another memoir of the Blair years, I did something a little different. I took Machiavelli’s maxims and principles – like the one about a leader being a lion and a fox – and tried to see if they still worked in modern politics. Surprisingly, many of them did. Tony Blair’s negotiating tactics in Northern Ireland were largely based on the lion-and-fox approach. There’s no way he could have moved forward if he’d not possessed some fox-like qualities. He calls it ‘constructive ambiguity’ in his own book: trying to lead people into agreements for which they weren’t necessarily ready. Equally, if he hadn’t been a lion and believed he could do it, he wouldn’t have got there. British leaders like Winston Churchill had given up on Northern Ireland. Because he thought he could solve it, Blair did not. You need both ‘lion’ and ‘fox’ attributes for that. 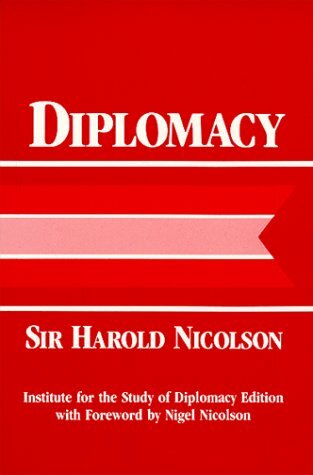 You were given Harold Nicolson’s Diplomacy when you joined the Foreign Office in 1979. What kind of things did it teach you? In my time, there was no training to be a diplomat. I think we had a half-day induction course and went straight into a department. They gave us a guide on where to sit at dinner and a copy of Diplomacy, which I still have. It’s a rather wonderful book but it’s very old-school. It was written in 1939 but we had the 1949 version. It says in the preface: ‘Since this book was first published, many serious events have occurred’. Quite a British understatement. Nicolson distinguishes between foreign policy, which he says is for politicians, and negotiation, which he says is for diplomatists. He starts with the Greeks and goes all the way through. He claims it was Machiavelli’s fault that diplomacy got a bad name. People misunderstood The Prince, particularly in Britain, and the word ‘Machiavellian’ became an insult that led people to think diplomats were shifty and dishonest. He points out that Henry Wotton, one of James I’s ambassadors, joked that ‘diplomats were honest men sent abroad to lie for their country’. The King was so shocked that he sacked him. Nicolson has very wise advice on negotiation. He says you must be patient, precise, tell the truth and not have too big an ego. I was negotiating in Northern Ireland in 2004, just after the collapse of the peace process between the Democratic Unionist Party and Sinn Fein. I was negotiating with Sinn Fein in a monastery in west Belfast. Everyone thought we shouldn’t be talking to them but I’d flown over to see them. I was out on a limb. I was met by a senior official in the Northern Ireland office who told me that the biggest bank robbery in British history had taken place the night before and that ‘the dogs were on the street’. I knew Sinn Fein had done it. I felt like going straight back to London and giving up. But I managed to put my ego to one side and told myself that I must keep going. I think Nicolson is right – you need to keep your personal feelings out of it. He also writes about the danger of losing your temper. The one time I lost mine was when we were talking with the Orange Order about the Drumcree march. One of the loyalist negotiators started insulting Tony. I must have been extremely tired because I leapt from my seat, leaned across the table and grabbed him by his lapels. Tony pushed me back into my seat and told me to stop being stupid. He came up to me afterwards and said: ‘Jonathan, you’ve got to learn you must never lose your temper except on purpose!’ That taught me a good lesson. One we could all use in many different areas of life! You say that your next choice, Henry Kissinger’s Diplomacy, brought home to you the division between the realpolitik school of diplomacy and the idealists. What do you mean? 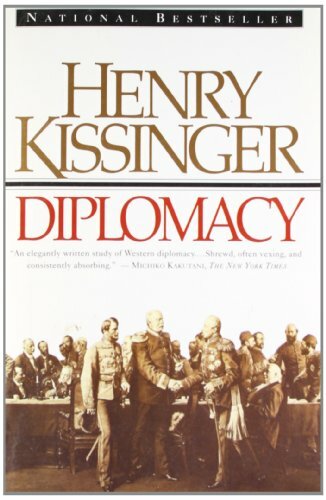 Kissinger was an academic before he was a diplomat and negotiator. He brought with him the knowledge and baggage of an historian. He was fascinated by the Congress of Vienna and clearly saw himself as a modern-day Talleyrand or Metternich, the French and Austrian representatives at the Congress. Modern foreign policy divides into what I call the ‘realos’ and the ‘fundis’, the terminology used to describe the different factions in Germany’s Green Party. The ‘realos’ believe you have interests and you’re trying to achieve the balance of power. The ‘fundis’ are trying to create a better world through foreign policy and negotiation. Kissinger is the patron saint of the ‘realos’. He took on the Wilsonian doctrine – the original American idealistic doctrine – and argued it was a mistake. He said that people should be more realistic about what they were trying to achieve. This was, of course, what he did as a practitioner and why he became slightly discredited. He’s still the grand old man of foreign policy and has been consulted by numerous presidents since leaving office. He was one of the leading practitioners in the Vietnam peace talks and in opening up to China. He was almost the inventor of that sort of shuttle diplomacy; he would get on a plane and rush back and forth between Egypt and Israel. Some of the lessons he draws from that are useful talking points for today’s negotiators. So do you admire him? I admire him, but I’m not sure I admire what he did. 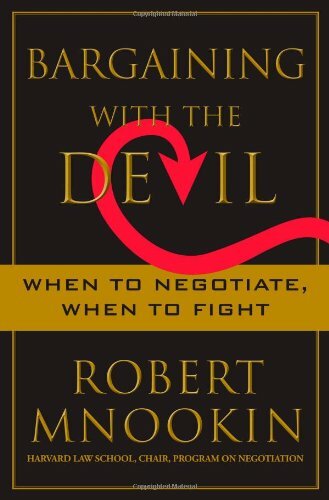 Robert’s Mnookin’s Bargaining with the Devil comes out of the Harvard Negotiation Project. What was that? It was put together about 25 years ago. People from different faculties and disciplines at the university have been looking at the theory and practice of conflict resolution and negotiation. My reason for choosing this book (I also recommend the more-famous The Power of Yes that preceded it) is that for many years no one seemed to think of negotiation as a skill or discipline. It’s bizarre that some diplomats still don’t get negotiation training. The interesting thing about the Harvard Negotiation Project is that different people, even hostage negotiators, come together to learn lessons from different experiences. I get annoyed when people criticise me for saying there’s a Northern Irish model that I’m trying to export to other peace processes. Surely that’s because it worked and there are principles that can be applied elsewhere. I’m not saying the model applies everywhere. But there are certainly lessons that can be learned. The people at Harvard are sharing their common knowledge and approaching negotiation pragmatically. The aim is to find common ground that allows you to move forward. Mnookin quotes George W Bush as saying: ‘We don’t negotiate with evil: we defeat it.’ And, of course, British governments used to say: ‘We never negotiate with terrorists.’ Actually we do. We negotiated successively with groups like the PLO and the IRA. Negotiating doesn’t mean giving in; that’s what this book brings out. By talking to people, you are not conceding or accepting their points of view. You are simply trying to engage in a dialogue to find solutions that are acceptable to both sides. The real goal is to get to a situation where there’s mutual gain for both parties. One of the reasons it took so long to implement the Good Friday agreement was that there was a zero-sum game in politics. If one side came out of the negotiations smiling, the other side thought it had lost. After the IRA ceasefire in 1994, the Republicans drove around town honking their horns. The Unionists were in a state of complete gloom, even though they just got what they wanted for the last 30 years. They thought there was a secret deal they didn’t know about. In fact, we only managed to arrive at a lasting solution once the Republicans and Unionists agreed to sell the agreement as a win for both sides. 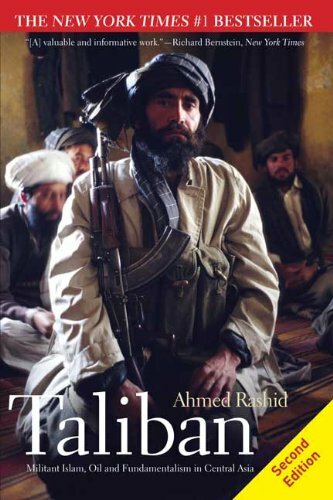 Your final book is Taliban by Ahmed Rashid. 9/11 was a big shock. When the first plane hit I thought it was an accident. When I was told of a second plane, I assumed it was a loop on the film. Once I knew the truth, I spent the rest of the day dealing with the consequences and trying to make sure the UK wasn’t under attack. The next morning I went to Waterstone’s bookshop on Trafalgar Square and bought all the books I could find on the Taliban. There were only four. Three were academic books and virtually incomprehensible. Rashid’s book was easily the best. I sat at my desk reading it for the rest of the day. I remember Tony and Alastair Campbell trying to steal my copy. Now that we’re poised to start talking with the Taliban, it’s imperative we understand them. What are your views about that? As you mentioned, we’ve spoken to other terrorist groups in the past. But do you think negotiating with a group like the Taliban, with their appalling record for mistreating women, is really a good idea? I try to see it from an historical perspective. We called the Stern Gang and the Irgun terrorists. They killed many British soldiers and we tried to kill them. But we also talked to the [Irgun] leader, Menachem Begin. The Mau Mau fighters did terrible things to women and children and yet Kenyatta became a statesman. There are many examples of terrorists we’ve dealt with who have behaved atrociously. Are some terrorists beyond the pale? You’re not going to defeat an insurgent group by fighting it. The Taliban have been indicating that their education policies and approach to women is misunderstood. Many of them are extremely conservative, uneducated peasants from the countryside. They did not really know what they were doing in government and they engaged in these terrible practices. If there’s going to be some kind of power-sharing arrangement, one of the key things to negotiate is indeed their treatment of women and their education policy. They have indicated they may change their position on those issues. How can you monitor that? It will be hard. There need to be guarantees and monitoring mechanisms. What no one will be doing is giving them back full power. And for you, what are the clear benefits of talking to people like them? You have to talk to them unless you believe you can kill every single person who has that belief. It’s possible, by security means, to get to what we called in Northern Ireland an ‘acceptable level of violence’. That could be a couple of hundred people dying a year. If that’s ‘acceptable’, and people have got the stomach for it, you can keep that situation going forever. But you need to find a political solution eventually. I wasn’t happy talking to the IRA. They shot at my father and put a hole through his ear. And my brother was on a death list for eight years while he worked for Mrs Thatcher. But in the end, you have to talk to the people who are doing the killing if you want peace. Talking to them does not mean agreeing with them. This interview was first published in February 2011.